Pleasanton, CA — February 24, 2018 — NextHome is proud to announce our newest addition to the franchise, NextHome NW Experts. The brokerage represents the fourth location opened in the state of Washington for the NextHome franchise. Based in North Bend, the company will be owned and operated by top-producing broker Debbie Buffelen. She will be joined on the leadership team by her daughter, REALTOR® Michella Gabbard. NextHome NW Experts will provide real estate services such as single-family residential sales, first-time home buyers, multi-family properties, commercial, relocation, land sales, and their specialty of working with investors in the areas of North Bend, Bellevue, Issaquah, Snoqualmie and the remainder of King and Pierce Counties. Buffelen started her real estate career in 2006 in Olympia, WA with Better Properties Real Estate. She found herself doing well and opened her own branch of the Better Properties Real Estate regional franchise in July of 2007 in Snoqualmie Valley. Over the next ten years, even through a difficult real estate recession, Buffelen built a successful sales business and brokerage of productive agents. But after 10 years of brokerage experience, Buffelen knew she needed more to provide for her agents and clients. “After all my searching, only one company fit for us – NextHome,” she added. Buffelen says the technology and modern feel and branding, among many other factors, was the reason she decided to move forward with the NextHome franchise. When not selling real estate, Buffelen is all about family. She loves spending time with her husband of three years, Guy, and their blended family of six children and ten grandchildren. Please join us in congratulating Debbie, Michella, and the rest of the team at NextHome NW Experts on the opening of their brand new NextHome office in North Bend, WA! Pleasanton, CA— May 26, 2017 — NextHome is proud to announce our newest addition to the NextHome franchise – NextHome Living The Northwest. This will be the second NextHome location opened by the franchisee. In March 2017, NextHome Living The Northwest opened its first location in Post Falls, Idaho. This branch location of NextHome Living The Northwest will be located in Spokane, Washington. The new office will provide real estate services such as residential sales, investment property sales, land sales, resort properties, and second home sales. Both NextHome Living The Northwest locations sit on the Washington/Idaho border and will serve the needs of residents in both states. In Washington, the office will cover Spokane, Liberty Lake, Spokane Valley, Cheney, Deer Park, Mead, and Medical Lake. In Idaho, the brokerage will cover Sandpoint, Hayden, Rathdrum, Spirit Lake, Kellogg, Wallace, Post Falls and Coeur d’Alene. The NextHome brokerage will be owned and operated by four business partners – Mike & Sheryl Van Dinter and Shawn & Carrie Sutton. Mike will be the Designated Broker for the brokerage, Sheryl will handle the accounting and financial operations, Carrie will handle the day-to-day operations of the office as the Office Manager, and Shawn will handle all things technology. Calling Spokane home for over 60 years, the Van Dinters found it natural to open their second office in their hometown. As real estate investors for nearly 20 years, the Van Dinters met Carrie in 2012 when she was the office manager of a local franchised real estate office. At the time, they were using a REALTOR® in her office to help them acquire and re-sell their rehabbed properties. Realizing he wanted to be more hands-on with the selling process, Mike attained his real estate license in 2014 and joined Carrie’s office. Over the next two years, Carrie and Mike built a trusted working relationship and saw the benefits of working together. The Van Dinters flipped between 15-20 properties annually and as their business grew, so did their needs to add services to attract buyers to their listings. As the company’s office manager, Carrie says that NextHome Living In The Northwest will be a fun office with productive agents. In addition the company will focus on deep relationships with members of the community. When not selling real estate, the four partners focus on family. Married for 42 years, the Van Dinters have two children and six grandchildren. Mike has been flying airplanes for nearly five decades and often flies the family to various vacation destinations. They are also Certified Scuba Divers and enjoy time in the water on their boat. The Suttons have been married for 25 years, have three children, and two grandchildren on the way. In addition to his responsibilities at the real estate company, Shawn runs and operates Sutton Tile & Marble – a company they have owned for 25 years. When they are not working, the Suttons enjoy boating, snowmobiling, and enjoying the outdoors. Please join us in welcoming Mike, Sheryl, Carrie, Shawn and the rest of their team at NextHome Living The Northwest for the opening of their second NextHome office! Pleasanton, CA— February 7, 2017 — NextHome is proud to announce our newest addition to the NextHome franchise – NextHome Northwest Living. This represents the second office location in the state of Washington. Based out of Bellingham, the brokerage will be owned and operated by three successful REALTORS® – business partners Sean Hackney, Sean Ryan and his wife, Staci Jarvis-Ryan. Hackney will focus on the training of new company agents, Ryan will be the designated broker and handle the day-to-day operations, and Jarvis-Ryan will handle the financials and operations of the brokerage. NextHome Northwest Living will serve the needs of residents in Bellingham, Ferndale, Blaine, Lynden, Sudden Valley, Birch Bay, and the remainder of Whatcom County. The company provides services such as residential sales, luxury home sales, investment property sales, new home construction sales, multi-family property sales, and land deals. Bellingham is home to just under 100,000 residents, making it the 13th largest city in the state of Washington. With Ryan and Hackney licensed since 2002, and Jarvis-Ryan licensed since 2003, the three partners happened to meet at a real estate training conference. While all three worked at separate companies when they met, in 2011 Hackney moved over to the independent brokerage Ryan was working at. A year later, Jarvis-Ryan made the move over to the same brokerage as well. Although, they started as three separate agents, they started discussing the idea of potentially going out on their own and creating their own brokerage. It was a revelation Hackney discovered in 2013 that started him down the path of owning his own company. In May 2016, the three set the wheels in motion to open their own brokerage. They were set on being an independent company with no intent on franchising. However, a call from a mutual friend introduced them to NextHome. “What we found was a company that had its pulse on what today’s consumer is looking for in a brokerage and created a business model we were interested in working with,” said Ryan. “As agents who follow the teaching principles of Buffini & Co., we were happy to align with a company who believes in treating our clients with the best possible service,” added Jarvis-Ryan. They might be new to owning their own brokerage but they certainly are not new to successful sales as top producers. Between all three, the trio sold nearly 100 homes in 2016 to the tune of $35,000,000 in sales volume. When not selling real estate, Hackney and his wife, Tami, spend time with their two daughters, Carly (age 20) and McKenna (17). Hackney is a triathlete and has participated in 11 Ironman Triathlons since 2004. Ryan and Jarvis-Ryan were married on December 31st, 2016. The newlyweds have four children between them – sons Caleb (13) and Jace (11), and daughters Maryn (9) and Lily (4). They stay focused on taking the kids to the various extra-curricular activities after school. Ryan serves as the coach for the kids’ basketball team. Please join us in welcoming Sean, Staci, (the other) Sean, and the rest of their team at NextHome Northwest Living for the opening of their brand new NextHome brokerage! Pleasanton, CA— April 26, 2016 — NextHome is proud to announce our latest addition to the franchise, NextHome Realty Connection. 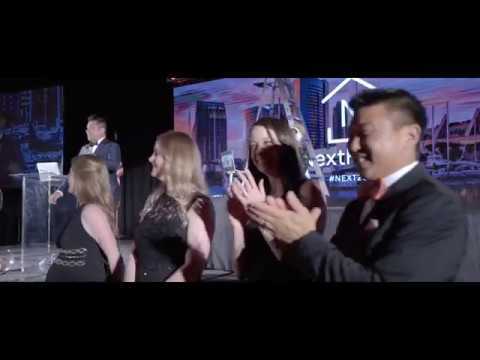 The brokerage represents the first NextHome franchise in the state of Washington. Owned and operated by local top-producing REALTOR®, Steve Roesch, the Vancouver-based brokerage will provide residential real estate services to the areas of Minnehaha, Camas, Salmon Creek and the remainder of the greater Vancouver area. Vancouver is the fourth-largest city in Washington with nearly 175,000 residents living in the Vancouver metropolitan area. Roesch opened his first NextHome franchise location in Portland, Oregon in early 2016. His desire to offer complete services to his local area lead Roesch to expand his business across state lines and the Columbia River into the Vancouver area. Starting his real estate career in 1996, Roesch was mentored by his father-in-law at the time. Working on a team at the local Portland Re/Max office, he spent the next five years building his real estate skills – specifically lead generation.